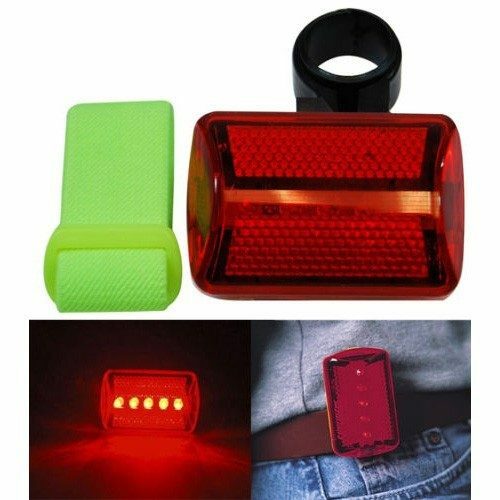 LED Red Safety Flasher w/Arm Strap Only $1.99 Plus FREE Shipping! You are here: Home / Great Deals / LED Red Safety Flasher w/Arm Strap Only $1.99 Plus FREE Shipping! This safety light flasher with bicycle attachment has a red body and comes with an arm strap, and a belt clip. It features a 120 degree rotatable bike attachment. It features 5 super bright red LED bulbs that have 8 functions! This LED Red Safety Flasher w/Arm Strap is Only $1.99 Plus FREE Shipping! You can’t afford to pass this up!